I mentioned a few years ago, that the 996/ 986 17 inch space saver will fit on a 987 / 987S. Since I had to change the rear tyres at the weekend , I took the opportunity to photograph the stowage location for the removed wheel on the rear trunk / boot. 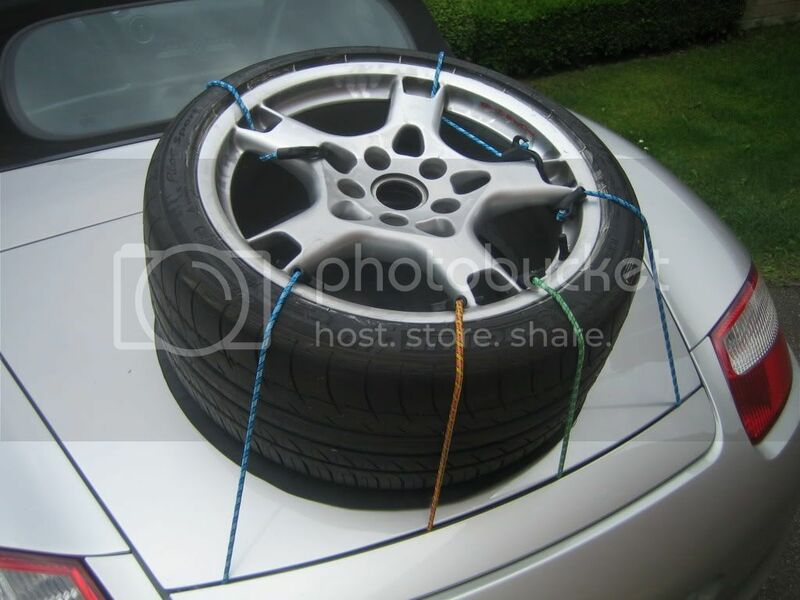 Using some simple bungee chords and a rubber mat ( all of which can be stored in the spare wheel cover ) the removed rear 265/35/19 wheel can be carried on top of the rear luggage compartment to a convenient point to have the puncture repaired or tyre replaced. The only addition I would make to the photographed procedure would be to raise the rear spoiler to act as an additional stop to ensure the wheel is supported a little more. The procedure allows for a swift roadside repair without compromising the passenger or luggage already in the car. Carrying a spare wheel will also allow for onward travel should the tyre glue be unable to repair the tyre as in the case of a ruptured sidewall or significant split (ie hitting a pot hole). The first step is to change the wheel , If you buy a used wheel with the foam insert containing tools you have everything you need including jack and wheel spanner. 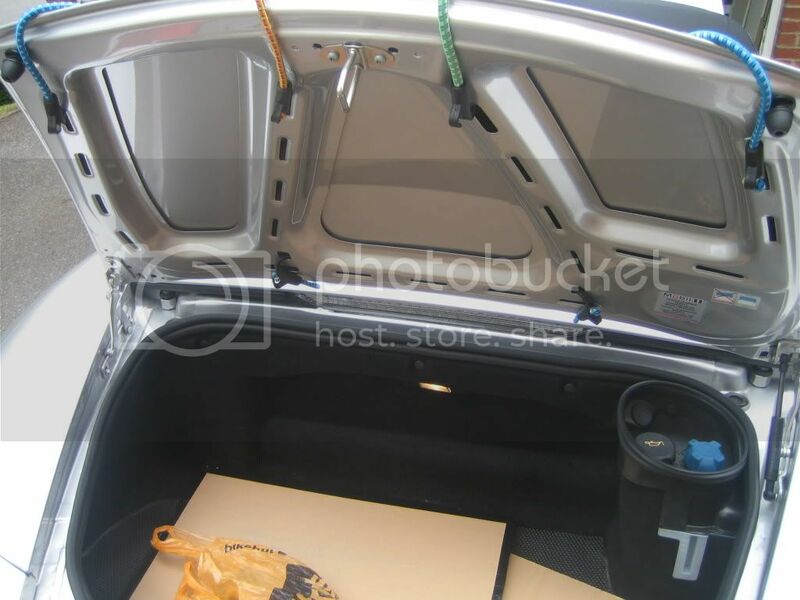 The 986/997 17" space saver is a 105 section , so can fit in the front luggage compartment and still allow space for a suitcase. 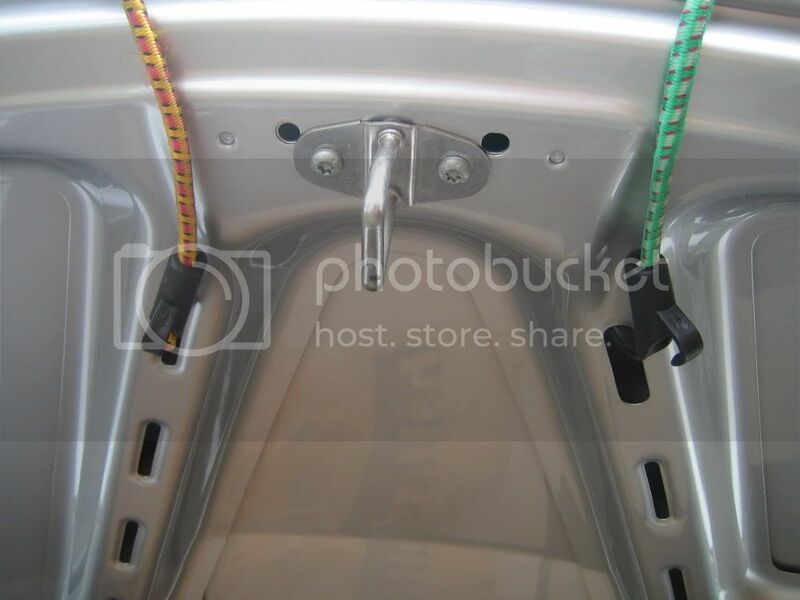 The next step is to fit the bungee chords to the slots on the underside of the rear luggage/ boot cover. 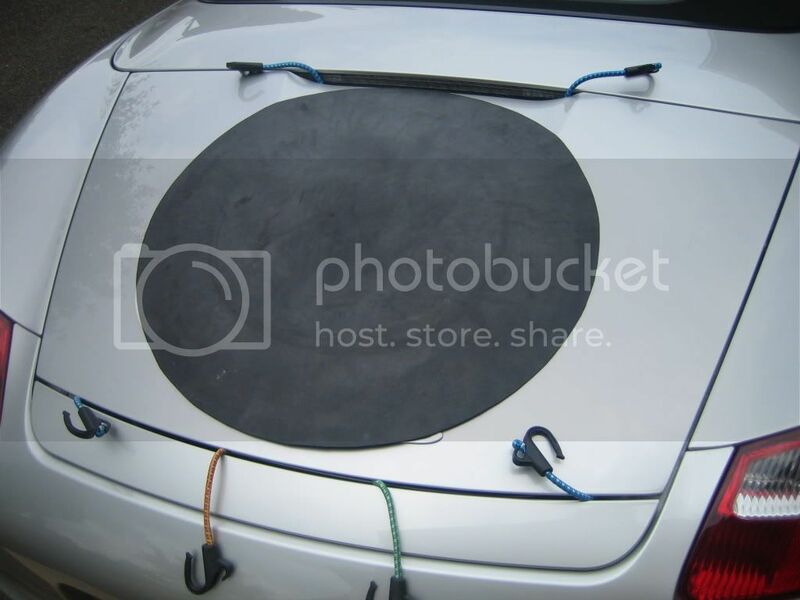 Place a rubber mat over the top of the cover to protect the wheel and paintwork. It also prevents slipping. I guess you could use the interior car mats for this if nothing else was available. Gently place the wheel on top of the boot cover , remember the rear cover is aluminium so can dent easilly if you drop the wheel on it. And ready for onward travel , Ideally I would raise the spoiler too , to act as additional support. Genius! Hat off to you Sir! I'm out to get some bungee cords tomorrow morning. I would add to this that the clamshell cover dents incredibly easily. 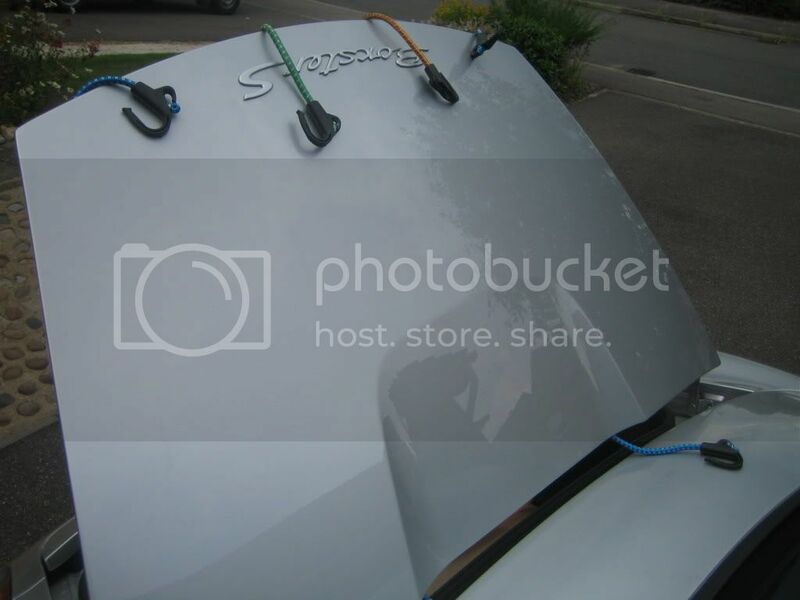 So be careful when lifting the wheel on top of the boot lid. If fitting a 986/996 space saver to a 987/997 you also need to de activate the PSM as the wheel diameter is smaller than standard and will trigger PSM and ABS faults on the dash. The faults will clear once the PSM is de activated after the car has stopped and engine has been re started or correct wheel fitted. The car will also sit slightly lower on the corner where the 986 space saver is fitted. Though the 986 space saver isnt designed for the 987 it will get you home in an emergency or to the local tyre shop if travelling abroad. I suggest getting both the 17" skinny space saver (105 90 17) as well as the jack and tools from a 986 rather than the 987 165 65 17 space saver as its both lighter and takes up less space. I believe that the 986 wheels will fit in the front trunk of a 986 if the tyre is flat , someone with a 986 may be able to confirm. 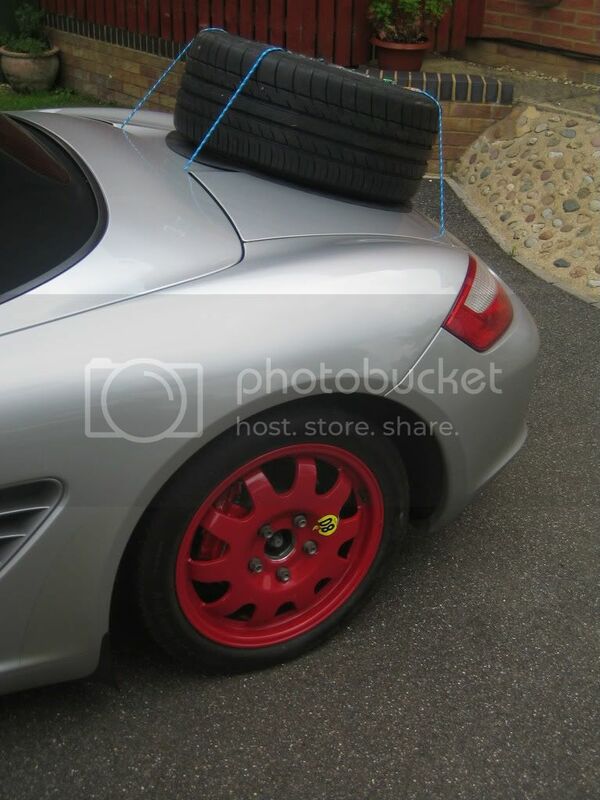 An 18x7 986 wheel will fit in the rear trunk of a 986 with no tyre on it. 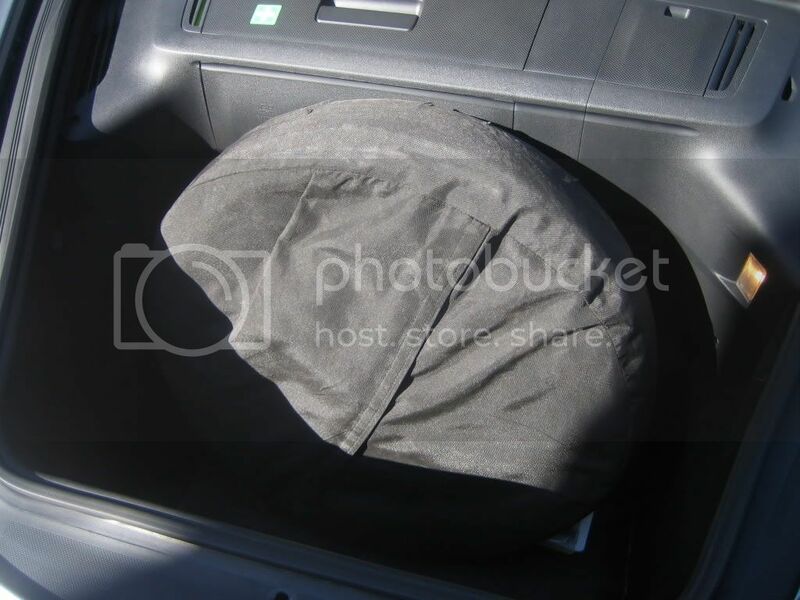 Anything bigger will have to stand in the front trunk or go on the passenger seat/outside. Will the space saver fit over the brakes on the front? @Araf - are you able to transfer this classic to How To? I thought spacesaver wheels had to be fiitted on the front axle? So if you had a rear puncture, the front had to go on the back, and the spacesaver on the front. My Ride:981 S PDK aka "Alice"
And I can confirm spacer saver fits over front brakes - not even an issue with my big brake conversion.